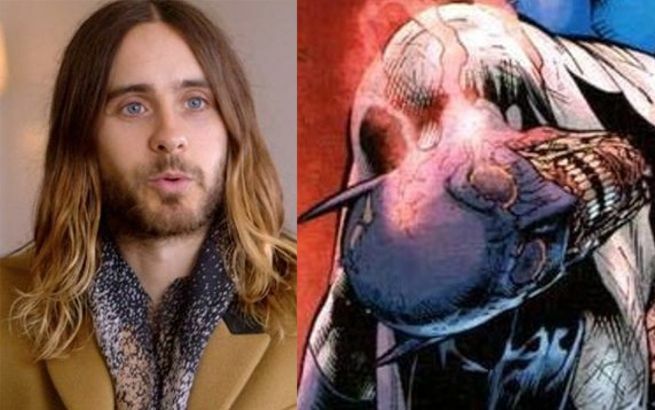 With three words, Jared Leto has stirred up DC Comics movie fans. Leto is cast to play The Joker in the upcoming Suicide Squad movie, and he appears to already be getting into character for the role. Of course, Leto was probably just having a little fun, implying perhaps that his character Joker would kill Batman. However, it also left some fans wondering if Leto might have just let a detail slip out about the DC Cinematic Universe. Could it be that Batman dies or is believed to be dead after Batman V. Superman: Dawn of Justice? In the Suicide Squad movie, could The Joker and the rest of the world think Batman is dead? Probably not, as the comment seems more like just an offhanded joke. Regardless, it's certainly cool to see Leto teasing his upcoming role in a fun way.